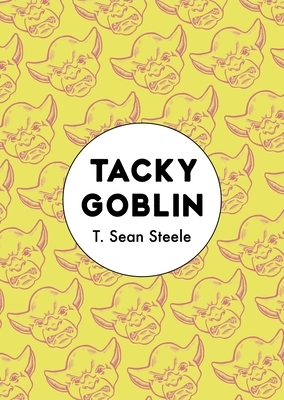 Tacky Goblin is the diary of a young man's journey through the grotesque underbelly of daily life. Or maybe it is the exposure of daily life itself as a grotesque underbelly, blistered and searing and glaringly obvious, like a passed-out sunbather. Fleeing a talking mold stain in the ceiling of his bedroom in Chicago, he moves to Los Angeles, where he rents an apartment with his sister, Kim. Despite the new city, new friends, and new love interests, something haunts him. The siblings share a surreal and irreverent view of life, and perhaps Kim can help him out of his funk. Or maybe she'll just lead him to hell. Absurdist, nihilistic, lovable, Tacky Goblin is a very funny look at the dark side of (not) becoming a grown-up. T. Sean Steele lives in Los Angeles. This is his first book. Find him at tseansteele.com.